It's a battle for the top slot! 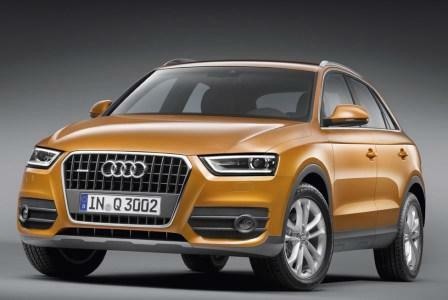 And clearly, Audi has surprised everyone by dethroning BMW in India. 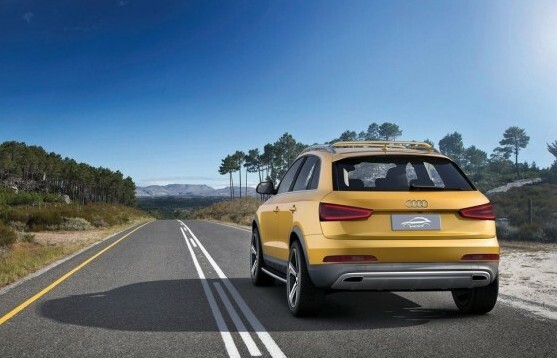 Riding high on its sales figures and in an attempt to maintain its lead, Audi is ready to roll out a new compact SUV, Q3 in India in the next few weeks. There is a lot of buzz doing the rounds about this SUV, especially because of its below - Rs.30 lakh price tag. But while the price is right, is it enough to get the customers? I am trying to give you all a quick byte on the new baby in the Audi's stable. 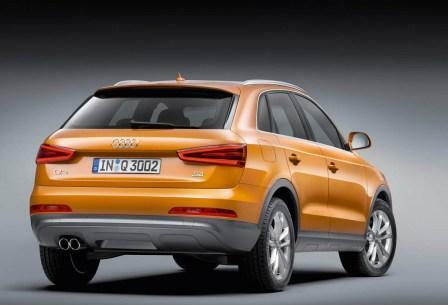 To me the Q3 looks like an over-sized hatchback with a prominent ground clearance (clearly an ode to the terrible Indian road conditions). It looks good, there's no doubt about that and some of the interesting features are the LED daytime lamps, the new hexagonal grille (an Audi trademark) with horizontal slats with Quattro badge. The back of the SUV slopes gently and one can see the almost triangular shaped tail lights that gel well with its overall design. On the inside, the car's cabin is delightfully surprising. Rich, well-crafted two-tone interiors in beige and black stink of quality. Also, the front console looks classy and feels nice with a small amount of wood trim on the door pads as well as the dashboard. Play music on an 8-speaker music system, height adjusting front seats, start-stop system for increased fuel efficiency, hill-assist feature, and 18-inch wheels that offer better road grip, and a flirtatiously light steering wheel that makes driving truly pleasurable. The Audi Q3 will be rolled out with a 2.0-litre diesel engine with plenty of power and good acceleration and aided by a dual-clutch, 7-speed AT gearbox. If you like an SUV with a robust feeling steering and ability to gobble up whatever the road throws at it, then these may prove to be deal breakers. 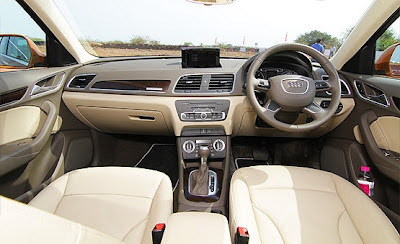 Except for these small niggles, the Audi Q3 is a great package at an affordable price (for many urban Indians) of around Rs. 26 lakh (ex-showroom). Making it a blockbuster hit in most Indian cities. Though the Audi Q3 is no Amir Khan or Hrithik Roshan among the SUVs in India, it can definitely be a good contender like Ajay Devgn or Irrfan Khan and give other SUVs a run for their money. And the orange color of the compact SUV will contribute towards making it a head turner on Indian roads, despite it missing out the machismo of a regular SUV.